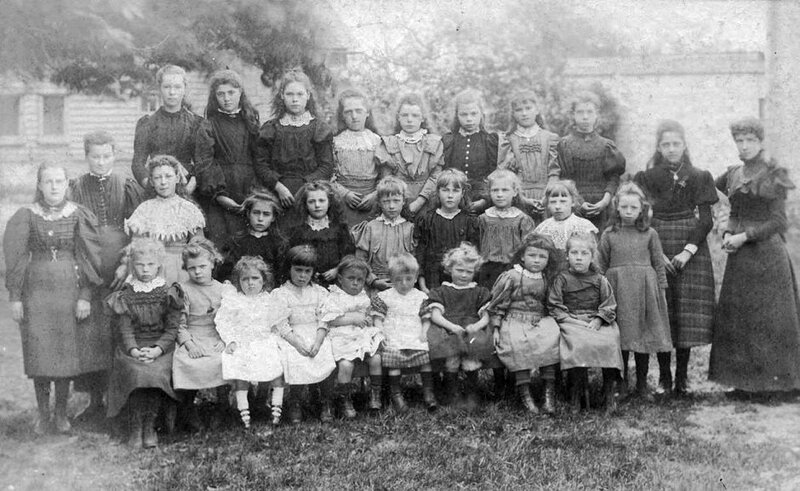 Girl Pupils c1900, Wimpole (C of E) School. A group of 28 schoolgirls photographed at Wimpole Village School sometime around the turn of the century. I estimate 1900 or perhaps even a little earlier. It appears the girls have been told to wear their best clothes for the photographer as they normally wore white pinafore smocks to school. On the far right is Miss Emily Horsfield, Samuel's daughter, who was School Mistress at Wimpole looking after the girl pupils. 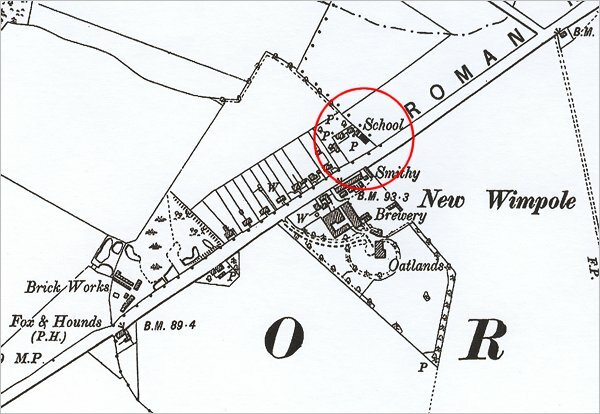 The older girls at either end may have been 'pupil teachers' (as Samuel's son Walter was at the age of 14). The photograph was taken in 'The Chestnuts', the outdoor playing area of Wimpole School. Behind the girls - to the left - is a glimpse of the old 'Wooden School', in educational use until 1876. 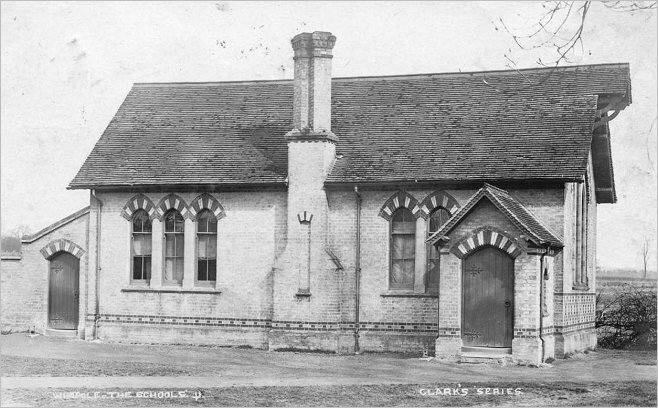 On the right is a corner of 'School House' [now 22 Cambridge Road] where the School Master lived. There may be other pupils in the picture from the Wimpole Estate. Please let me know if you can put a name to any of the schoolgirls. A single confirmed identification could help fix the date of this photograph to within a year or two.